SRI KALISWARI COLLEGE (AUTONOMOUS) | Sri Kaliswari Trust, comprising a team of munificent philanthropists endowed with wisdom and foresight, embarked on launching an ideal College of Arts and Science in 2000 A.D. To impart value-based higher education to the student community and to mold them to be fit for the next millennium. The Government of Tamilnadu in its G.O. 190 dated 7th June 2000 graciously granted its approval for starting the college in the academic year 2000-2001. 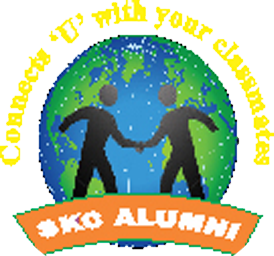 To begin with, the college was housed temporarily in Sivakasi town in 2000-2001 with a modest number of three courses. In just a year, massive and imposing buildings with architectural splendour sprang up at A.Meenakshipuram, 7 kilometres away from Sivakasi to Virudhunagar Road, Sivakasi. The college moved to its new premises on 19th March 2001. This college is also recognized by the UGC under 2(f) dated 1st June 2006. 12(B) status was attained by the college on 4th October 2010. Autonomous status was conferred by UGC on 1st March 2012. NAAC, Bangalore reaccredited the college with A Grade (3.30 CGPA) in July 2013. In a span of sixteen years, the college has crossed many milestones. It has registered phenomenal growth in terms of buildings, infrastructure and the number of courses offered. In fact, the college has blossomed into a Premier Institution of higher education. Now the college offers 15 Undergraduate Programmes 9 Postgraduate Programmes and 5 M.Phil. Research Programmes are offered.